For over thirty years, Teijin’s flagship brand, Twaron®, has delivered higher strength, lower weight and improved durability in applications around the world. 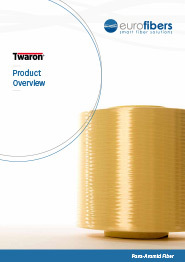 A true all-round para-aramid, Twaron® performs better than competitor materials across a very wide range of criteria. So – whether you’re involved in automotive, protective, defense, marine or beyond – you can rely on Twaron® to improve the performance of your product in the market. Twaron® is a para-aramid, high- performance yarn. Offering well-balanced performance in terms of mechanical properties, chemical resistance and thermal stability, Twaron® is recognized across a wide range of industries as an extremely valuable material with excellent durability. Their experience in aramid production, which extends back more than 30 years, not only guarantees a technically well-established product, it is also the basis for developments, often in close cooperation with our customers, to tailor Twaron® to the specific requirements of various applications. Contact us now and find out what Twaron® can do for you. Twaron® para-aramid yarn is suitable for use across a wide range of challenging applications and industries, from ballistic protection to heat and cut protection, and from oil and gas to the automotive and telecommunications industries. The unique characteristics of Twaron® are the result of a 100% Para crystalline structure with molecular chains preferentially oriented along the yarn filament axis. Dedicated specialists in the manufacturing departments continually monitor the production of Twaron®, which is made from monomers in three stages: polymerization, continuous filament yarn spinning and converting. During the first stage, the monomers are combined into a firm, fine-grained para-aramid polymer. This material has the typical heat resistance and chemical properties of para-aramid. The fine-grained powder can be used to improve the properties of plastic components. However, the powder does not yet possess the distinctive mechanical properties of yarn or pulp. The second stage involves dissolving the polymer in sulfuric acid, which produces a liquid crystalline solution. This solution is then spun into fine, natural yellow or dope-dyed black continuous filament yarns, with each filament being as low as 12 μm in diameter. The resulting structure is 100% para- crystalline, with molecular chains running parallel to the axis of the filaments. It is this high degree of orientation that contributes to the extraordinary properties of Twaron® yarns. To produce Twaron® staple fiber, the continuous filament yarns are crimped, and can be treated with a finishing agent. After drying, the yarns are cut to the desired length. Twaron® short-cut fibers are produced by cutting the continuous filament yarns to the specified length. What’s more, short-cut fibers can also have additional finishing agents, depending on the application requirements. The following converting possibilities are not shown in the picture. High linear densities of Twaron® continuous filament yarns can be produced by assembling yarns to customer specifications. Additional functional coatings can also be applied to Twaron® yarns in order to optimize the value-in-use of these products. The untwisted continuous filament yarns can be twisted to optimize fit-for-use characteristics. To produce Twaron® pulp, the filament yarns are first cut, suspended in water and fibrillated. The pulp is then either packed directly and marketed as wet pulp or dehydrated and dried for sale in the form of dry pulp. using untwisted yarn or twisted cord constructions. Twaron® filament yarn types can be further differentiated by applying special surface treatments that add functionalities to the Twaron® yarn. These functionalities improve the product performance in an application and/or the processability. Examples of this include the application of the water- blocking finish on high modulus Twaron® yarn for optical fiber cables and the adhesion activation finish for rubber products. is used in applications where special requirements exist regarding the appearance of the yarns. Specifically, black Twaron® is used in applications such as composite fabrics, boat sails and protective clothing. The black color is created by dope-dying, resulting in good color fastness. Twaron® staple fibers are used in textile applications for gloves, and for apparel that protects against heat and cuts. The staple fibers are available in the regular yellow para-aramid color as well as in black. Several specified staple fiber lengths can be supplied (40, 50, 60 mm). In addition, a various-cut staple fiber product is available with fiber lengths of between 76 mm and 100 mm. The linear density of the staple fibers can be selected from 0.9, 1.7 and 2.5 dtex products. For black staple fibers, linear densities of 1.7 and 2.5 dtex are available. Next to the staple fibers, Twaron® can also be supplied as stretch broken yarns. Twaron® filament yarn can be converted into short-cut fibers or dipped chopped fibers with fiber lengths of between 0.25 mm and 12 mm for use in, for instance, engineering plastic applications. Twaron® is available in powder form, specified by the particle size. Applications can be found in engineering plastics, coatings and rubber compounds. To produce pulp, Twaron® filament yarn is first cut, suspended in water and then fibrillated. The characteristic properties of pulp are determined by the fibril length and the specific surface area, which is a measure of the amount of fibrillation. Due to its chemical and physical properties, Twaron® pulp improves stability and increases the strength of compounds in which it is used. To help our customers find optimal solutions, both dry and wet pulp options are available in various fibril lengths and in varying degrees of fibrillation. These options are available across a wide range of different applications, including friction products, sealing materials and specialty paper products. Twaron® jet-spun fibrids and pulp are made by a patented manufacturing process. The products differ from conventional pulp due to their adjustable specific structure, from film-like to very fine, which improves network formation and ensures superior binding. Twaron® jet-spun fibrids and pulp can be processed on conventional paper machines, for instance, for the production of specialty paper products. Twaron® yarns have a high strength, offering a tensile strength that is two to three times higher than polyester and polyamide yarns, and up to seven times higher than steel on a weight- for-weight basis. The table illustrates the main mechanical properties in comparison with a selection of other high- performance materials as reported under standard conditions. Twaron® retains its core mechanical properties across a wide temperature range. These properties are available for reinforcement purposes for a well-defined lifetime of Twaron® yarn. This lifetime is determined by the specific combination of load and temperature. In general, the higher the load and/or the operating temperature, the shorter the lifetime of Twaron® yarn. Using accepted safety factors in the applications, Twaron® enables a long economic lifetime for the end product. However, long-term exposure to UV light should be avoided, since this will result in discoloration and negatively influence the mechanical properties of the yarn. The dimensional stability of reinforcing material is often a key factor in many applications. The high modulus of Twaron® ensures that the end product shows minimal deformation under a wide range of loading conditions. What’s more, the end product retains its required dimensions over a long period of time due to the very low and quickly diminishing creep behavior of Twaron®. In addition, Twaron® has a low, negative thermal expansion coefficient of a few ppm/°C, which contributes to the material’s high dimensional stability. Finally, Twaron® does not shrink when exposed to hot air. Twaron® has no melting point and will only start to decompose at temperatures of 500 °C (932 °F) and above. For heat-resistant applications, the recommended ambient temperature should not exceed 250 °C (482 °F) in order to ensure fit-for-use strength retention. Twaron® also largely maintains its mechanical properties at very low temperatures of -200 °C (-328 °F) or below. This makes Twaron® usable in applications across a very wide temperature range. Further- more, the thermal isolation behavior of Twaron® products is excellent due to the very low heat conductivity of the yarn. In addition, Twaron® has a high limiting oxygen index (LOI). This means that it ceases to burn as soon as it is removed from flame, limiting the spread of fire when Twaron® reinforcement is in use. The high crystallinity and strong intermolecular interactions of Twaron® prevent chemicals from penetrating the polymer structure. Resistance to organic chemicals is good to excellent, while resistance to inorganic chemicals varies according to the pH value.  Highly acidic or alkaline chemicals may cause hydrolytic degradation. Concentrated solutions of strong acids and strong bases will result in hydrolytic degradation. In a changing world, our core objective remains the same: to make sure Teijin Aramid continues to be the leading aramid company in the world. To ensure this, sustainable value creation and cost-efficiency are critical success factors that are strongly embedded in our company’s strategy. This means Teijin Aramid offers products that match our customers’ needs as efficiently as possible, while also ensuring that these products meet the required performance levels of our customers. The aramid products in our portfolio are intrinsically capable of enabling sustainability. Twaron® makes lightweight, long- lasting, durable solutions possible that help our customers to reduce their carbon footprints and conserve scarce raw materials. We are actively pursuing the reduction of aramid waste at our customers’ production sites by optimizing our product offerings. Remaining aramid waste is reused to create value-added products. Furthermore, we enable used aramid to be recovered from applications, after the end-of-life of the end product has been reached, in order to be recycled into new aramid products. Teijin Aramid is safeguarding the value of aramid products wherever possible through this recycling program. Teijin Aramid recognizes that being able to accurately monitor the sustainability impact and cost-efficiency of products is as important to our customers as it is to us. However, many standard eco-financial assessment methods simply compare the environmental effects of producing 1 kg of aramid with that of producing 1 kg of an alternative material. The raw material only accounts for a small part of a product’s impact across the entire value chain; the best way to assess the eco-economics of a solution is to undertake a function- based analysis over its entire life cycle – i.e. from raw material through to end-product application and end of life. Our Customer Benefit Model (TUV certified to ISO14040/14044) makes it possible to clearly outline the overall lifecycle benefit of using Twaron® over other raw materials. By considering how the aramid functions throughout the lifecycle of the end product, Tejin Aramid can calculate to what extent its use reduces environmental impact across the chain, while improving economic returns. In particular, they are able to demonstrate how using aramid instead of alternative materials drives significant improvements in qualities such as rolling resistance, weight, wear and tear, and material use, leading to reduced energy consumption and maintenance requirements. Together with their value chain partners and customers, they are able to perform detailed Customer Benefit Model analyses in order to develop specific business cases, focusing on the differences between solutions with the same function. Region-specific variables are also taken into account. This highly collaborative way of working ensures that the results are accepted and used by the various stakeholders. Innovation and cooperation are key drivers of sustainability and cost-efficiency. Because of this, Teijin Aramid has several dedicated research and development sites around the world, as well as customer support facilities. These facilities allow them to further develop standard aramid products to meet even the most demanding customer requirements. Improvement in understanding the behavior of aramid products under the actual application conditions contributes to the most effective use of our products. In addition, combining their extensive knowledge of aramid products with their capacity for end-product design allows them to support their customers in the most optimal way. Their R&D facilities also allow them to react rapidly to urgent customer requests and business continuity issues. Working closely with their customers and partners across the value chain in this way allows them to fulfill their strategic objectives of creating and optimizing sustainable, cost-efficient solutions for existing markets as well as new ones. Across their global operations, staying ahead of relevant laws and regulations is integral to Teijin Aramid’s way of working, particularly when it comes to standards for environmental protection and for health and safety. Teijin Aramid’s most relevant certificates and statements for Quality, Health, Safety & Environment (QHSE) can be found on www.teijinaramid.com/certificates.